Believe in yourself and start your own business and spread your knowledge through that, and make the change! First of all, we would like to know you? When did you graduate from this department? Where do you work now, what is your job and your responsible field? My name is Hanieh Vahabi and I graduated in 2017. I’m Co-founder and the CEO of two companies: Codotrix AB, and Call EchoSystem AB based in Gothenburg. Codotrix is a multinational professional firm, and Call EchoSystem is a tech company developing A.I. (artificial intelligence). I am also a business mentor helping other businesses to grow. How do you use your theoretical and practical knowledge and experience gained in this department for your career life? Do you have any practical disadvantages for being familiarized with gendering practices theoretically? In this program, I gained deep knowledge about different issues from different disciplines of social science. This becomes an advantage for me to be able to bring my theoretical and practical knowledge of my studies into my companies as well as other companies I work with. Of course, I am at an advantage since I have the better understanding of what is going on in the society in general and in smaller society inside the organizations around gender issues, discrimination, racism, and how managers and team members are responding to these issues, what techniques can be used to manage all these and how can we raise the awareness. The impact of studying this program has been huge on me and it can be seen at different levels in my work life; from replacing “chairman of the board” to “chairperson of the board” in legal documents of my companies to the bigger changes in shaping the companies’ team. Do you have a project that you work with regarding gender studies in your institution? If so, what kind of contribution will this project have on gender studies in general? One of the issues I emphasize both for my companies and other companies I work with, is the importance of having diversity in team-building and shaping organization. Also, through consultation and workshops, I train companies how to bring diversity to their teams and organizations and how to manage diversity and get the most out of differences. Of course, in my business life, this is the most visible part that shows how I use my knowledge gained from the program, but there are several other issues of equality, gender, power relations, social and cultural norms that I am aware and use in practice. Maybe It will be a very specific question, but did you make your dreams come true with this program? Do you think that the program contributed enough and improved you and your skills? Although the program had some problems in terms of content and some practicalities when I was studying, it opened up many new insights of social science for me and it was definitely had a great impact on me. In my entrepreneurial life, I have many plans to fill in the gap between academia and the society outside. What is your recommendation to those who want to choose this master and those who are studying at the moment? I congratulate them on choosing this master program! There are lots of interesting topics in this program to be learned and discussed, they should use this opportunity to enhance their knowledge, but do not forget that the society outside of academia is not familiar with many of these important issues and it is our responsibility to do that! Still, feminism is a dirty word, diversity is limited to gender, whiteness is silenced and many other issues that we need to contribute to raise the awareness and take steps toward change! The gap between academia and industry also had led to limited job opportunities gender studies students, and this should not make the students disappointed. They need to create the opportunities through raising the awareness of existing issues that industry needs to know to improve their workplace. Is there a message or thought you would like to add? Believe in yourself and start your own business and spread your knowledge through that, and make the change. Do networking and build up your relationship with different industries to find your favorite position for an internship in the second year of your studies and hopefully, it led you to your dream job. As I also suggested to the board of gendering practices, try to invite people from different industries to your seminars. This will help both parties to understand the needs, and communicate the subjects. What’s the point of revolution if we can’t dance! I graduate in 2016. I work at Oxfam International (Headquarter in Nairobi, Kenya) and I am the Enough (Ending Violence Against Women & Girls) Campaign Lead Africa. I am responsible for coordinating the Enough Campaign in Africa, providing technical and strategic support to Oxfam country offices and partners implementing the campaign on ending violence against women and girls. The Enough Campaign seeks to address negative social norms that reinforce violence against women and girls and promote positive norms that reinforce gender equality. My work enables me to use my theoretical and practical knowledge gained at the department, especially using a normkritik analysis in identifying social norms that normalize, justify and reinforce the use of violence as a form of oppression. I find myself referring to the knowledge gained on intersectionality, gender and development (especially the criticism of how gender and development studies tends to essentialise women), transnational feminism, postcolonial/neo-colonial analysis such as Mohanty, Spivak and Franz Fanon and the breadth of afro-feminist scholarship (not in the curriculum but accessed through the library during my research). For example, as you know right now there is a discussion on the sexual abuse and exploitation within the humanitarian sector with Oxfam being on the spot light. My knowledge has helped me provide input into strategies for re-shaping the organisation work on gender equality and the Campaign. I would say the challenge is working with people and institutions that are not versed in feminist thought or principles and seeing how they continue to reinforce discrimination and exclusion unknowingly because they have no capacity to be reflexive. I feel frustrated at how important concepts and theories such as intersectionality have been co-opted within organisations and made a-political thus losing their intent and radical transformative potential to justify the status quo. Well, my work is purely related to gender studies as it seeks to understand how gender is conceptualized and understand, and its manifestations and ramifications in relation to violence against women & gender non-conforming groups across multiple African countries. For example, I support countries to develop and amplify public campaigns that seeks to challenge the norms that create inequality and identifying those social norms that normalize or justify all forms of violence. For example, in Zimbabwe women are challenging male entitlement to women’s bodies as a norm that reinforces sexual violence. In South Africa, women are challenging violence against women and gender non-conforming people with a campaign by challenging the way institutions such as the police and the judiciary reinforce the norms by failing to provide access to justice to survivors of violence. As part of the work, we are developing research on social norm change around violence against women, I think this will contribute to Gender Studies to better understand how change happens and whether our assumptions and theories translate to change in communities. Well, in terms of my expectations, I believe the programme enhanced my knowledge, I had access to a lot of information, professors and students with valuable knowledge and experiences. As an African student, I felt that there was limited engagement with scholars and activists beyond the western hemisphere (including Black America). I think the programme could engage more and intentionally with the emerging feminist discourses that are shaping the world, for example, Latins, Caribbean, Afro-queer and feminist movements, young Afro-European feminists, Asian Feminist movement etc. to give a broad breadth of feminist discourse and theory. I believe all students would benefit from hearing more about these movements and discourses (I recognize that a small number of students come from these movements) so that we are all working towards challenging the white/western saviour complex where we have white/western feminists saving black and brown women from black and brown men to rephrase Spivak. I highly recommend the Masters, my advice is take advantage of all the resource available, professors, books etc, when you leave you may not have these resources available to you. The programme offers you an opportunity to apply your knowledge through the internship programme, choose a place that challenges you to learn more. For example, my internship enabled me to work with a diversity company in Stockholm which gave me a new insight into how gender equality politics play out in private/corporate sectors in Sweden. It challenged the rhetoric that Sweden was a gender equal utopia because I quickly understood that there is a lack of an intersectional approach to promoting gender equality and there is work to be done to ensure that real equality is achieved. I am not from Sweden, so I got to know about Sweden, the culture, the people, the way people work, laugh and play which is useful when working in a multi-cultural organisation spread out across the world. It also enabled me to meet people working on promoting a just society in numerous ways which was inspirational plus I met new friends and got to enjoy Stockholm. I would advise students to embrace discomfort as a way of challenging themselves and learning. I would encourage everyone to learn from other students’ experiences and see each other, by which I mean, take time to acknowledge those with you and see them for who they are, be interested in them as fellow humans. Make time to know people around you and create new friendships, these are valuable in a world where backlash against gender equality is a real threat, we need as many allies and friends as we can get. What’s the point of revolution if we can’t dance!!! Try to make the most of this opportunity to study, to really try to read a lot and to think about it. First of all, we would like to know you? When did you graduate from this department?Where do you work now, what is your job and your responsible field? I graduated from the master program Gendering Practices in 2015. After that I got a job in a group home for unaccompanied minors seeking asylum. Together with my colleagues we supported teenagers who had recently arrived in Sweden in their daily life, as well as helping them find activities for their spare time, doing homework, and learning Swedish. It also involved a lot of collaboration with the social services, schools and health care providers. I have also worked as a research assistant in a research project investigating fundamental rights implications of using biometric data (for example fingerprints) in migration control. It was a large EU-funded project. I interviewed staff at the migration agency, the border police, lawyers as well as migrants who had experienced problems in relation to fingerprinting. Now I am doing a PhD in gender studies at Umeå University. In my research project I study the use of DNA-tests in the processing of family reunification applications, what this does to the definition of family, I study DNA as an object, what happens when it moves across contexts, and questions of knowledge and power in relation to using evidence based on the body in the context of migration control. When I worked in the home for unaccompanied minors, I used my knowledge and experience to try to make my workplace have a more norm-critical approach, I used it a lot in conversations with my colleagues, when we were discussing how to work with the teenagers. Now that I’m doing a PhD I constantly use the theoretical knowledge within gender studies that I got from the program. It is also very useful to have the experience of having written a master’s thesis. I can’t see any direct disadvantages in having knowledge about gendering practices, rather I believe the skill of analysing power, although sometimes uncomfortable or tiring, is a very good thing to have. That’s a hard question, but I hope that my research will contribute to that part of gender studies that studies migration control, family, bodies and questions of science, knowledge and power. And in any case, I think that migration control is a significant way in which inequality is structured and reproduced globally today, and I think that it is important that feminist research attends to this. Haha … I don’t think dreams, for me, are something that can come true by studying a program, but it did make it possible for me to spend time on many of the things that I love doing, such as reading feminist theory, writing, thinking, and learning things. So perhaps yes, in a very particular sense you could say that my dreams came true: I got to read good books! I really enjoyed the program and I’m happy that I got to read many of the texts and theorists that I had been wanting to read. Try to make the most of this opportunity to study, to really try to read a lot and to think about it. I also did an independent reading course for which I myself could decide the topic and together with one of the teachers we decided on a reading list. That was a very good opportunity to specialise in one particular area of gender studies and it also served as background reading for my master thesis. I would also recommend you to start thinking about where you want to do your internship early on, and think about what you want to get out of it: practice some particular skill; get to know a field of specialisation that is new to you; immerse yourself in a field in which you are already familiar; choosing a place where there might be a possibility of getting a job later on; building up contacts and a network that can be useful in the future when applying for jobs; or just doing something that you find interesting or fun? When doing the internship, I also think that you should prepare yourself for the possibility that you might have to take a lot of initiatives by yourself, so I think it’s good to have some ideas of what you would like to do at this particular placement and if need be, to take initiative to do those things. At least based on what I remember from our discussions in my class, it was not always the case that the internship place had planned everything on beforehand, and then it’s good if you yourself have suggestions on what you could do to make sure that you get the most out of it. 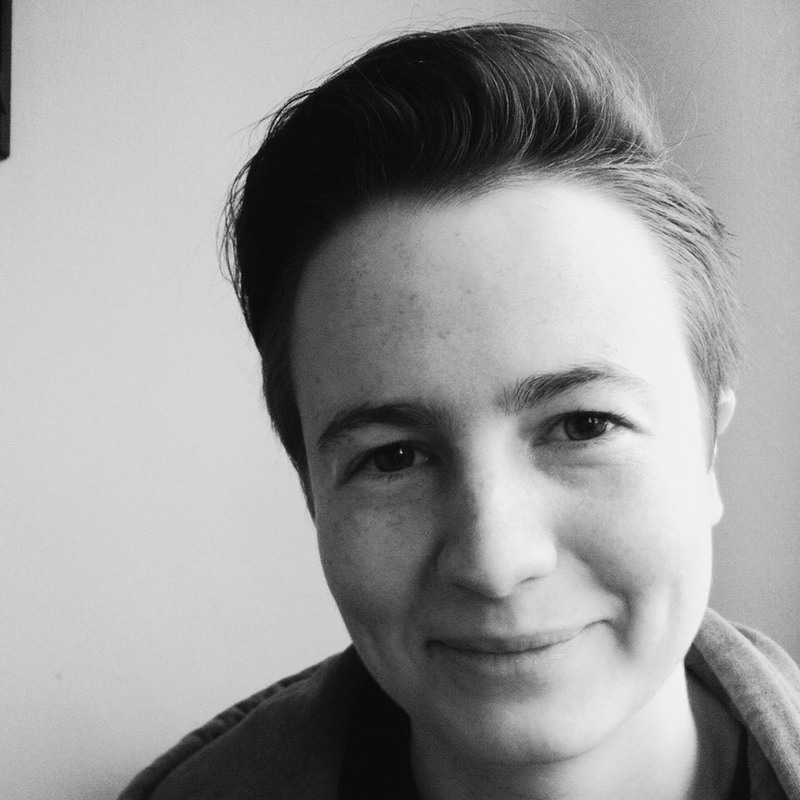 An interview about Gendering Practices Blog by Juliana from the communications department of GU! 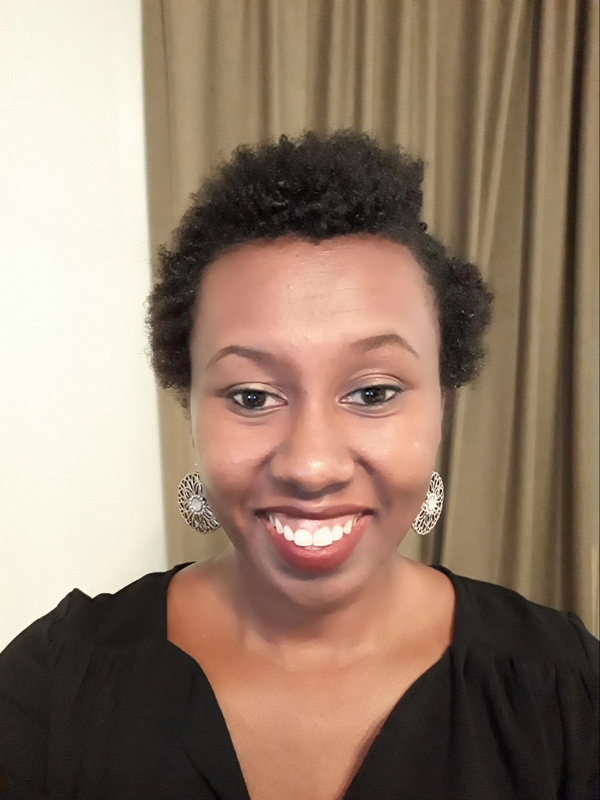 Juliana Akello from the communications department of GU made a very nice interview about the Gendering Practices Blog with Bart and Deniz for the news of the Department of Cultural Sciences. And now we are publishing it again for you! I graduated in June 2015, but I didn’t finish my thesis until June 2016. So I was part of the first class of the Gender studies master program. Now I work as an educator for both RFSL (a LGBTQ-organisation) and for GRC, Göteborgs rättighetscenter (an anti-discrimination bureau). For RFSL I mostly travel around in Sweden and educate staff at for example schools, people working in health care, at municipalities etc. in LGBTQ-questions, norms, personal treatment and inclusion. Here I also work with change management, for example support the writing of equality plans. For GRC I educate in Gothenburg and cities close by. Then the theme for the educations are similar to RFSL’s but there is a bigger focus on anti-discrimination, the perspective is wider and all of Sweden’s seven discrimination grounds are included much more direct. But also here there’s both a focus on raising knowledge and work practical. When I educate I use a lot of the theoretical knowledge that I learned during my years studying gender studies. When it comes to the practical skills I uses them for example during the support of the equality plans. During the masters program I chose the equality worker orientation (can’t remember the name, hope you get what I mean) so I now got to do what we learned during those lessons on a regular basis. One of my dreams is to be able to make the world, the society, a little bit kinder and wiser. When I educate, especially with the groups I meet several times, I feel like my contribution makes a difference. That the people I educate actually change how they think and act. So yes I guess, the gender studies program enabled me to work with things I care about and find important. I think I learned a lot from the program, both practical and theoretical stuff, and I am very glad I studied the masters program. Hm, good question… For those studying the program; You have and are gaining knowledge often seen as valuable and attractive. Keep up the good work! For those wanting to study the program I just say ”Go for it!” I learned a lot, deepened my previous knowledge, developed my english and meet really interesting people. Take the best advantage of the interdisciplinarity of the department for your future plans. Hello! I am Orhun. I am originally from Turkey. 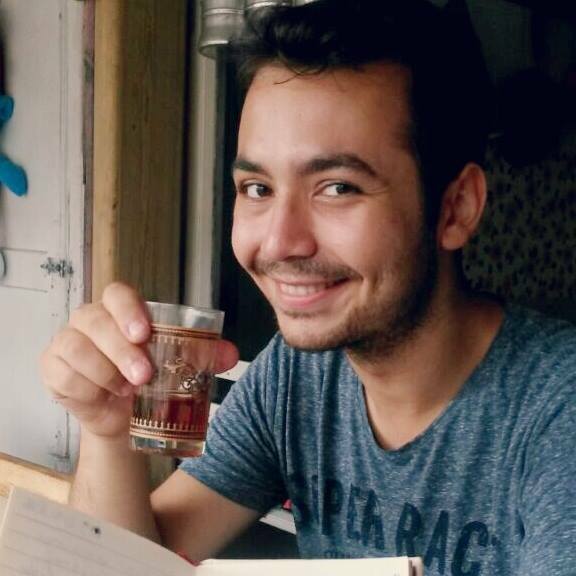 I am an LGBTI+ activist, EFL teacher, freelance translator. I graduated the master’s program in 2017. I still cannot believe it’s already been a year since then. I work in Gelişim University (in Turkey) as EFL Instructor and also do part-time freelance translation work. Now I teach English for prep schools. As for translation, I have been translating academic texts such as assignments and thesis. Besides my current profession, my ultimate goal is to be a gender scholar in a university and teach about gender studies. I am also interested in feminist theory and methodology. The department contributed to my knowledge and my future endeavors in many ways. I utilize and practice what I learned in my volunteering and organizational works as well as in my PhD applications. The department’s professors have also been of a great help in introducing the new knowledge and networks. The departmental seminars had us get to know and listen to the lectures of such important names in gender studies as Naomi Schemann, Don Kulick etc. Not as a disadvantage but, since the gender studies as a department is limited as a separate discipline in Turkey, I found it a bit difficult to pursue my dreams here but this is not about the department’s program, specifically. As for my organizational work, in Lambdaistanbul where I have been a member for long, we aim to hold queer reading events and I am planning to contribute to these discussions with the readings of the department. I am also planning to present my thesis which was about trans* necropolitics in the pride events in İstanbul. I have also been in different journal projects that are still in progress for publication. Actually I did! I have recently been informed that I have been awarded with a PhD position in York University for Gender, Sexuality and Women’s Studies and I am still thrilled to hear this news! I also have other applications on hold, mostly abroad. The department already introduces you cutting-edge feminist discussions and latest theories and readings and innovative ways to discuss on the matters of gender and sexuality. Take the best advantage of the interdisciplinarity of the department for your future plans. Don’t hesitate to keep in touch with your professors who always welcome new ideas and are open to discussion. How difficult can a divorce case be to get freedom for a woman? 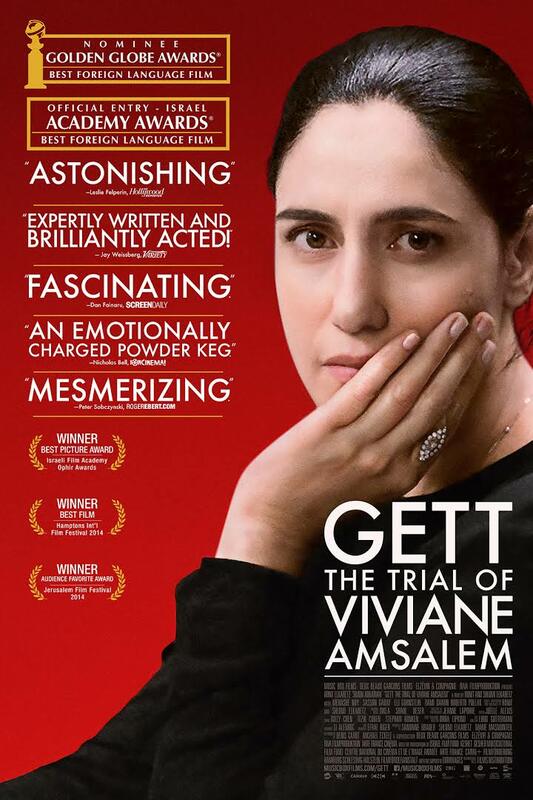 Gett: The Trial of Viviane Amsalem, is a 2014 Israeli-French drama film directed by Ronit Elkabetz and Shlomi Elkabetz. And it is about the process of a woman’s (Viviane) divorce case which is ruled by a court which has male-dominated perspective that she had to resist it from the beginning to the end. For this reason it takes place almost in only one venue; a case room. And it is not just a “trial”, it is a fight against to norms, identities, patriarchy etc. In general I may say that the film is very stable and calm, there are no such action scenes at all. The other way round we encounter endless and repeated discourses which are reproduced at every turn by the male dominated system and societies. In addition these discourses are the ones that humiliate the woman identity, that try to control the woman and woman’s life by the way of “honour issue”, and in short, it comes to light how a woman is “ignored” in a society. Normally you can get bored because of the stability of scene and but you can not be able to do just because it’s not just Viviane’s matter, it’s yours and you continue to admire Viviane’s patience. Moreover Ronit Elkabetz as Viviane Amsalem, Simon Abkarian as Elisha Amsalem (her husband) and Menashe Noy as Carmel Ben-Tovim (her lawyer) have shown a great acting as the others. Viviane Amsalem: Why are you making me run around in circles? Why, Your Honour? Why? Why have I come in and out for years now and nothing’s changed? Why? You can’t force him to divorce nor to appear, and you can’t this or that, and what about me? When will you see me? When I’m too exhausted to stand before you? When? If it were up to you, it could go on for 10 years. I could drop dead in front of you and all you’d see was him! But nobody is above the law. There’s a God and there’s justice and He’ll judge you as you judge me. Mercilessly. You don’t care about me! I would like to congratulate the director as he shapes Viviane’s character as someone standing upright against patriarchal point of view and never giving up. But I’m not sure if I could stay so calm and upright as Viviane, in real life.